Check out this behind the scenes video interview from Daneilla’s upcoming Genlux Magazine feature. 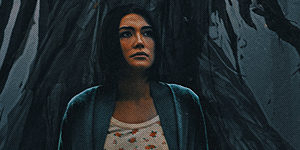 MY FAVORITE THINGS – DANIELLA PINEDA from Stephen Christopher on Vimeo. 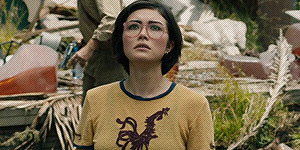 Welcome to Daniella Pineda Fan! Fifteen years after stabbing a classmate to conjure an imaginary phantom known as Mercy Black, Marina Hess is coming home. She’s being released from psychiatric care to live with her sister and young nephew. But in the years since her crime, the myth of Mercy Black has gone viral inspiring internet rumors, stories, and even copycat crimes. Marina is haunted by what she has done and the phantom she imagined. Though she would rather leave the past buried, her nephew becomes increasingly obsessed with Mercy Black. To save him, Marina must face her past and uncover the truth behind Mercy Black. What she discovers is a very real and very deadly horror that will stop at nothing to claim her and her nephew. 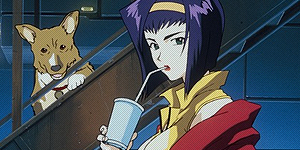 The space Western story follows Spike Spiegel and his rag-tag crew of bounty hunters, or Cowboys, as they try to capture the galaxy’s worst criminals and survive the unexpected dangers they encounter throughout space, sometimes saving the world in the process but always leaving millions in damages. The ripple effect of a single decision that changes the trajectory of an entire life. A single woman focused on her career in New York is forced to deal with the aftermath of a failed relationship when an ex-boyfriend hires her company. It isn't too late to do the right thing, @JoeManchinWV. You met with survivors of sexual assault for hours yesterday — think of them when you're voting tomorrow. @Maniella And when you're done voting, buy a Zia action figure from your local toy store. VOTE. Please, god, please VOTE. Please register to vote. PLEASE, go online, take 10 minutes and PLEASE REGISTER TO VOTE. Please. I beg you.